The Bibb County Sheriff's Office has arrested Joseph Talmadge "Ghost" Schrader for stealing an American flag from the front of a sheriff's office annex in downtown Macon, Georgia. With Independence Day approaching, the homeless Macon man decided to add an American flag to his camp. Deputy Nathan T. Sprague of the Bibb County Sheriff's Office, who works in the annex, first noticed the theft. 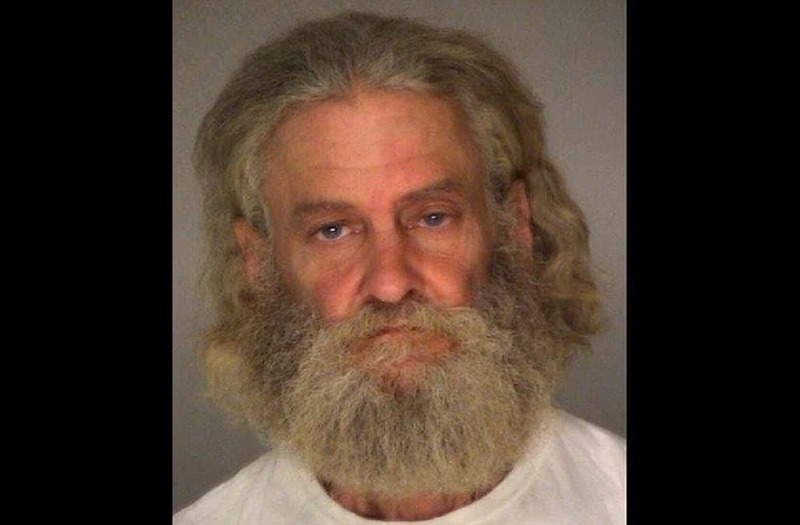 The Telegraph reports that the Bibb County Sheriff's Office immediately recognized him as a homeless man nicknamed "Ghost." Caught on surveillance video, "Ghost" lowered the flag to the ground and put the flag in a trash bag, slinging it over his shoulder and walking offscreen. The man appeared to have stuffed the $250 flag into a trash bag, then walked off with the bag slung over his shoulder. Schrader has been arrested by police and charged with theft by taking. He's being held on $650 bond, according to the Atlanta Journal-Constitution. When confronted by police, Schrader admitted to taking the flag, saying he was drunk at the time. "I like flags," he added. Police also found a Confederate flag in his possession, but couldn't match it to a police report for a stolen flag.